Are your readers opening your emails but not turning into sales? Want to learn the strategies to convert your email subscribers into customers? In this blog post, you will learn how to turn your readers into paying customers. First, you need to entice your readers with an interesting subject line. This is your chance to catch your prospect’s attention. Now you need email content that will interest your readers about the product or service you’re selling. Here are 5 tips that could help you. This method is more to your benefit. You write all the stuff you want to say to your prospect. At this point, pour out all your creative juices to the letter. Don’t worry about the length. What’s important is to write down your entire sales pitch. By not editing and writing at the same time you are able to get down everything you want to say and not waste time. After you have your first draft, show it to a friend or teammate to see what parts resonate most with them and then start cutting out the parts that do NOT need to be there. The main goal of your email is to convince the reader at the shortest possible time. You have to remember that the average attention span of a human being is less than 10 seconds. If your email is long and boring, your reader can lose interest in half that time. 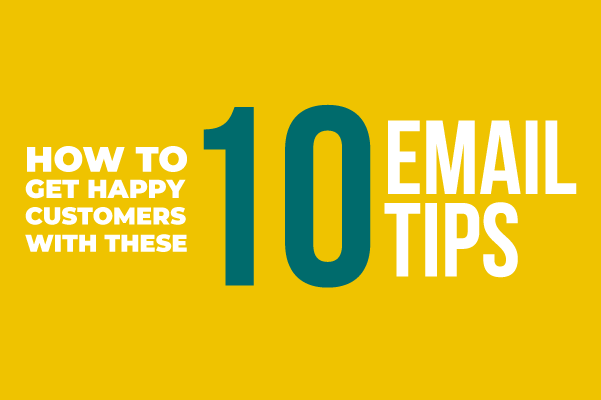 You need to keep your email content concise and up to the point. If you need to write long emails, keep it interesting. Write In the second person, using “you” or “your”. This will help you focus on your customer. Focus on the benefits and not the features. Your readers are more interested on how your product can help them. Also, don’t attempt to sell them anything at the first line of your letter. You just can’t shove your sales pitch down their throats. Instead, you need to introduce yourself as a friend first in order to gain their trust. Only then can you start telling them about your offer. Also, a rigid and mechanical approach will only make it easier for your reader to discard your email. Because people like doing business with people they like and the more you can be personable the more likely your readers are to convert to sales. So enjoy this funny gif, my friend. Don’t bother telling readers how awesome your product is. Instead, tell them the benefits that they will get from your product or service. By taking this approach, you identify with your readers, making it more likely that they will buy your product. And once you understand their problems, you can now start proposing a solution. This will make your readers trust you more. Marketing expert Jay Baer commented that focusing solely on the products will turn the email into a brochure. Instead, he advised to use storytelling as a means to engage your readers. According to Zembula, you can use any 3 storytelling methods for your email marketing. The Traditional Approach – You tell the story your way without any interference from your readers. Multiple Interactive – A multiple interactive story has several possible endings depending on your selection. In this third option, readers are deeply engaged since their decision has a significant effect on both the story and ending. Now that you got them excited about your product, set a clear deadline. But don’t pressure your readers. Instead, Copyblogger advises that you should give people a plausible reason why they should stop procrastinating. Also, by setting a deadline, your create a sense of urgency. Conversionxl conducted a case study comparing landing pages. One is an ordinary one. The second, however, has a timer indicating how much time buyers can avail of the discount. If that’s not enough urgency, it also shows how many items have been bought. Landing Page that urges buyers to act since there’s a time limit and a lot of the items have been bought. The experiment yielded interesting results. The second page using the urgency factor was able to raise conversion rate of between 3.5-10% within one week. Noah Kagan from SumoMe had a 29% open rate during his initial email blast. Amazingly, he doubled his open rate when he sent a second email to his non-opens. According to Noah, he emailed his non-opens the same email but with a different subject line. In total his 2 email blasts resulted in an open rate of around 60%. Not bad for changing a few words in the subject line. You can use the PS to remind your subscribers about the deadline or what they stand to lose if they declined. It’s effective because readers are always attracted to read the PS of any email. You can also use this last part to put another CTA. If your reader says yes and subscribes, Congratulations! With the sheer volume of email people receive every day, many are just ignored. This is the reason why you need to treat every subscriber with respect. They read your email, gave you their trust and subscribed to you. Prove to them that you’re worthy of their engagement by sending only valuable content. Get to know them. Ask if they have questions and offer solutions whenever possible. Treat them as friends and they will help you grow your business.